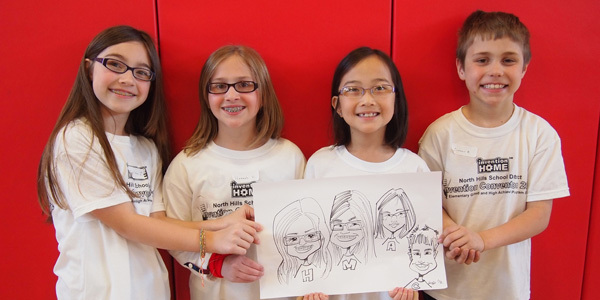 After months of planning and preparation, InventionHome, along with the North Hills School District, a large suburban school district in Pittsburgh, Pa., held the first annual Student Invention Convention Day. The day proved to be exciting, fun and a huge success for students, faculty and all who participated in the event. 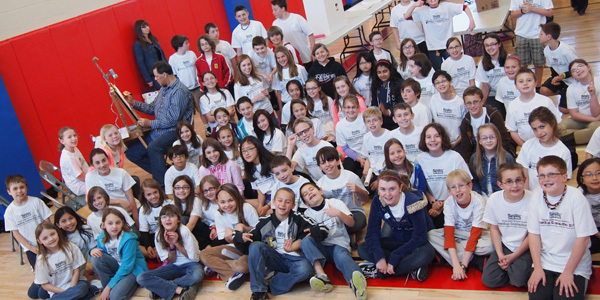 Students across the district in grades 3 through 6 were encouraged to use their creativity and ingenuity to come up with an original invention idea to be entered into the Invention Convention contest. More than 80 students filled the tradeshow-like setup in the gymnasium on April 13th to participate in this creative event. It was a fun-filled day with educational workshops, invention-related workstations, guest speakers and other exciting activities. Presentations were judged on originality and practicality, and finalists were chosen to compete for the winner’s trophy. Participating in the judging panel were the district’s own director of special education, superintendent and principal, other teachers from the district, parent volunteers, InventionHome representatives and attorney Dave Hrina. All the judges felt that while it was difficult to pick the finalists, it was easy to be extremely impressed by the students’ hard work, great ideas, and enthusiasm. InventionHome artist Jimmy Kanfush also lent his talents and provided some much-needed laughs through his quirky caricatures of the students. 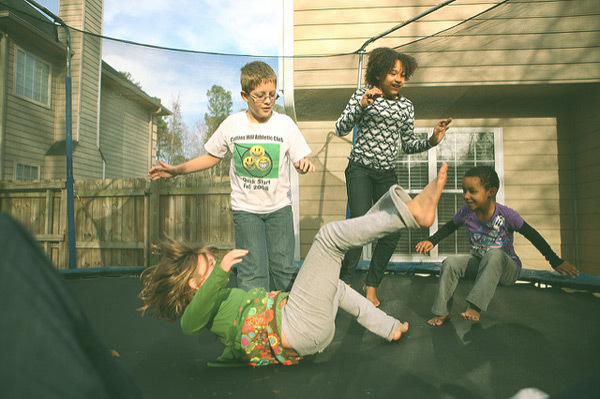 Jimmy is used to helping our inventor-clients transform their ideas onto paper, but on this day it was the kids who lined up to see themselves transformed by Jimmy’s pen. InventionHome thanks all of the participating students, administrators, teachers and parents for the chance to help them celebrate the spark of innovation! More pictures from this great day are available below. 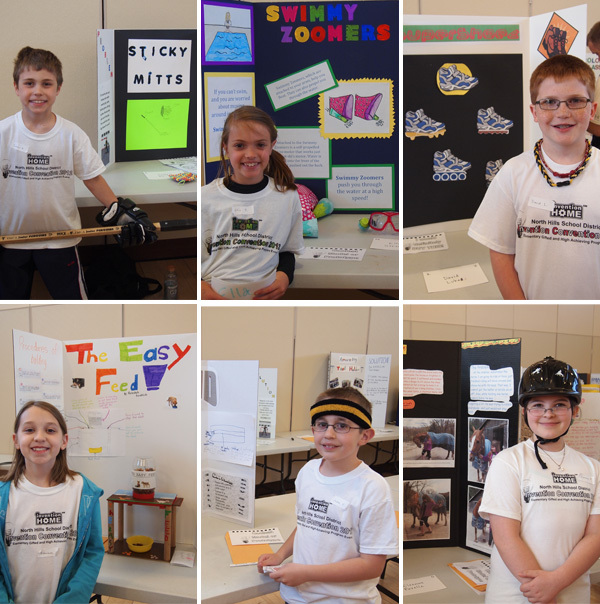 For more information on planning a Student Invention Convention Day in your school district, please email mvelette@blog.inventionhome.com.